What they say: From the acclaimed author of The Evening Spider and The Broken Teaglass comes this psychological thriller about the murder of a psychologist in a quiet New England town and his former patient whose unreliable thread will keep readers guessing until the shocking end. 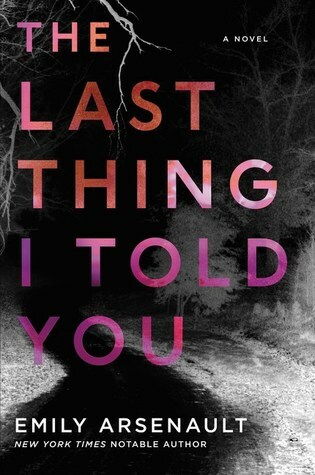 What I say: The Last Thing I Told You is a high-octane psychological thriller full of drama and twists. The story focuses on the investigation into the murder of therapist Dr Mark Fabian. 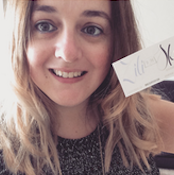 As part of the murder investigation we get a spilt POV from former client Nadine who is still struggling with a large amount of guilt and confusion, plus from investigating detective Henry Peacher. Nadine becomes fixated on things she cannot change and has a huge amount of guilt around past mistruths or half-truths. She finds a strange sort of comfort in accepting the 'guidance' from the deceased Dr Fabian and in finally accepting the belief that she is crazy. Henry finds himself confronted with the past when the investigation seems to point him straight towards Nadine and other past crimes. The tone is purposefully awkward and abrupt at times. This work well to add to a sense of confusion and mistrust. Whenever I thought I'd got Nadine figured out then something else would happen to throw doubt on everything that happened before. I liked this strange tone and found myself wondering who would be speaking next.